Using animation software is not that complicated. If you have absolutely zero experience using animation tools, but you’d like to animate your presentations, or create animated video resumes or advertisements, we have a few solutions for you. There are many animation software solutions for beginners that are very intuitive and easy-to-use. Many of these tools offer pre-set animations and all you need to do is add some text to customize the video and that’s it. Windows Report did the homework for you and compiled this list of the best animation software for beginners. Enjoy it! DP Animation Maker is a simple and powerful animation tool that can help you make stunning animation without tech skills. 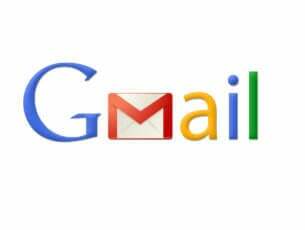 You can use it for business or personal projects. This program has an easy-to-use interface, and also can offer complex editing tools for your desired outcome. Beside selecting special effects, you can also fine-tune the height or speed from settings. Having prebuilt animations and plenty of features to support your ideas to transform static photos or slideshows into captivating animation. 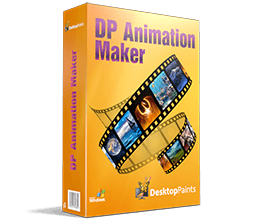 With DP Animation Maker you can create seamless animations automatically. Check out more of its features and try the powerful instruments yourself. Animaker is a really useful animation tool that offers you tons of video templates that you can use as such or customize them to your liking. The best part is that these videos are already filtered under a series of categories such as video greeting, info-graphics, travel, sports, birthday, intro, outro, etc. 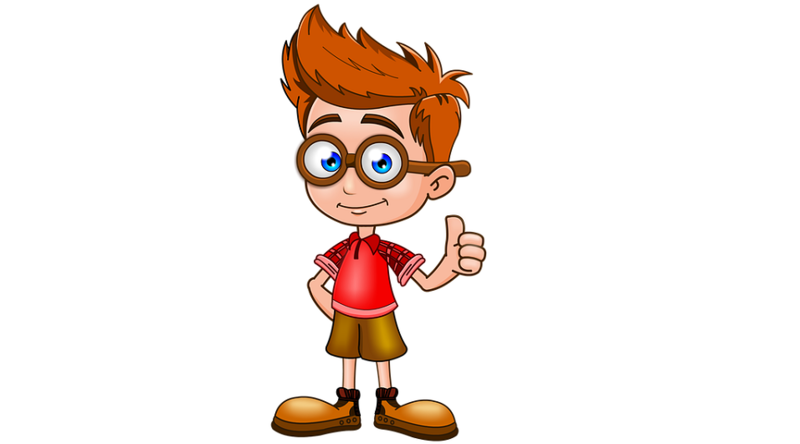 Using Animaker is very simple: just click and choose, drag and drop, edit and play and that’s it. 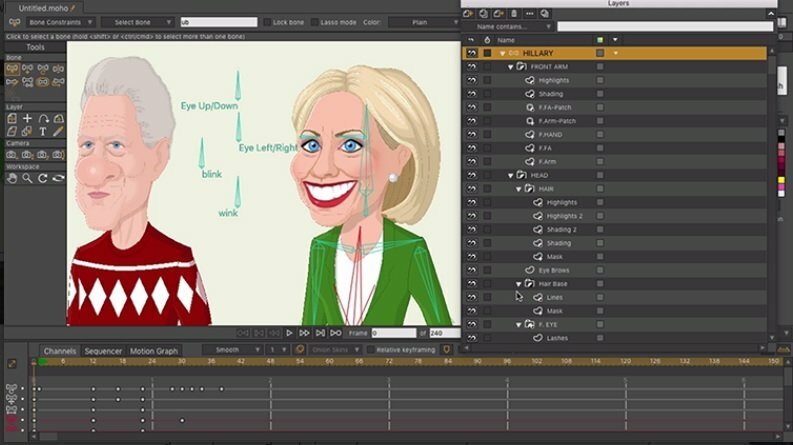 Once you selected your favorite animation template, you can play the video and get a glimpse at the final product. Then you can click on the ‘Use” button to open the dashboard and start customizing the animation. In the dashboard, you can add and edit the scenes, add text to personalize your animation, add various animation effects to draw your audience’s attention, and more. You can even record your own voice and add it to the animation video. How cool is that? You can also preview your creation and adjust it accordingly at any given time. Once you’re happy with the result, you can save your animation video and export it. In order to use Animaker, you need to register to the tool’s platform. Once you’ve got comfortable using the free features of the software, you can step up the game by getting one of the three pricing plans available, ranging from $12 to $39 per month. In this manner, you will unlock a bevy of interesting and useful animation effects and features that will make your animation stand out in the crowd. Moho Debut is another great animation software for beginners. The tool can be used by any age group users, from kids to adults with absolutely no experience in animation. 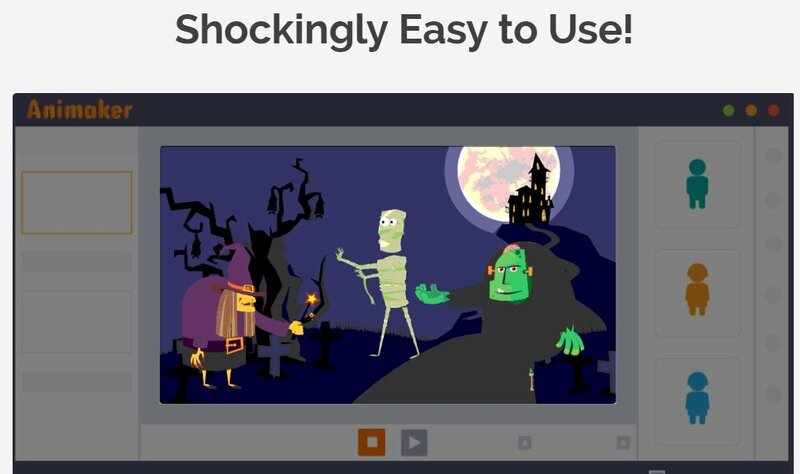 At the same time, this entry-level animation program is very powerful.You can use it to create 2D movies, cartoons, vector, stop motion and cut out animations. There are a bevy of animation features that you can access and use in your animations to create really amazing videos. Most importantly, detailed video tutorials make learning how to use the tool a lot quicker and easier. Pre-made content and characters allow you to get started as soon as possible and learn on the go. Moho Debut also features a dedicated Beginner’s Mode. You can get detailed information for each tool or feature alongside automatic roll over tips and built-in tutorials. 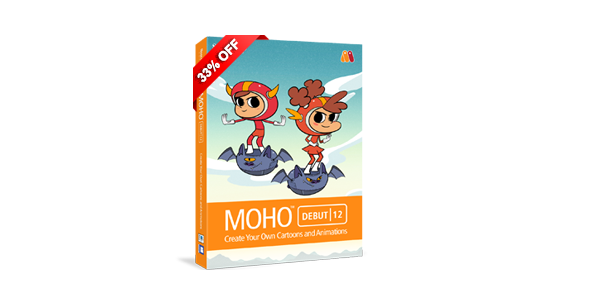 You can try Moho Debut for free for 30 days. 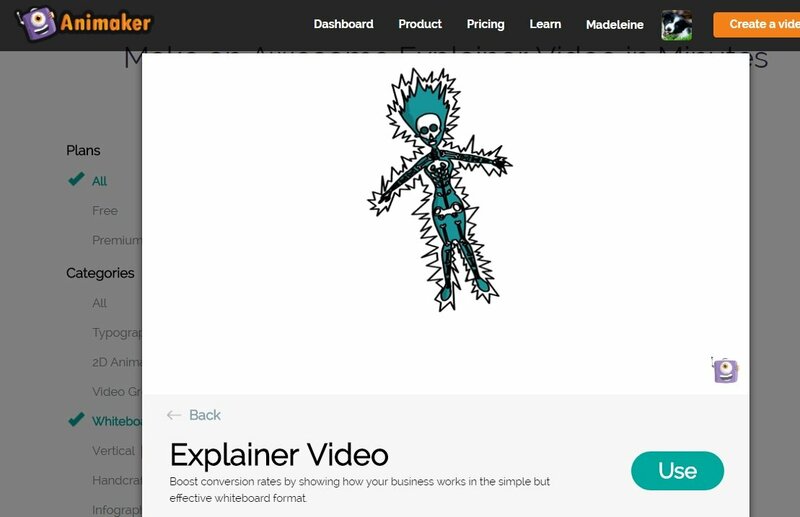 If you’re looking for an online animation tool for beginners, try Wideo. This animation platform is perfect for business use as it focuses mainly on marketing video templates. Using Wideo is very easy, all you need to do is drag and drop elements or simply upload your own images and start animating. The platform also features a ‘Learn’ section where you can learn the basics and create your very first animation video. Once you’ve got some experience using Wideo, you can go to the advanced section and learn how to implement a series of advanced features in your videos. Vyond is another great online resource for creating animation videos. The platform has a quick and easy learning curve and features easy to use DIY tools that you’ll quickly get the hang of. Just like the previous tool on our list, Vyond focuses on business and marketing animation. If you run a small business and your animation budget is rather limited, this may be the best solution for you. Using Vyond is very simple. Just add a character, swap a background, drag and drop more elements and you’re done. Speaking of animated characters, you can give a voice to your character and lip-sync is done automatically. If you need to insert a voiceover narration, simply add a voice track to the background and there you have your customized narration. There is also a character creation feature that you can use to create your own character or your customers’ characters. In case you need more help using this animation platform, you can go to Vyond’s tutorial section and learn more there. These are four of the best animation resources for beginners that you can use on your Windows computer in 2018. All these tools feature a very intuitive UI, as well as tutorials to help you get the hang of animation faster. If you’re not sure which platform to use, take advantage of the free trial period, test them all and stick to the one that best matches your needs. Editor’s Note: This post was recently updated with a new relevant software product that will benefit users with their animation projects.